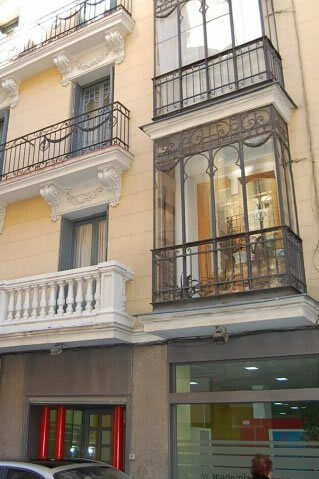 Our Spanish school is located near metro station Bilbao, on the edge of Madrid’s touristic centre. Here you experience the real Madrid. You’re close to the city centre and all action you want is within reach, like the lively Chueca district just around the corner. Next to our school we have a typical Spanish tapas bar, where you will always find some language school students chatting during breaks and after classes. We are proud to have an enthusiastic group of quality teachers who are very motivated to teach you the Spanish language and culture. We have 7 spacious and bright classrooms, a lounge with computers, newspapers and a school library with Spanish books and films to enhance your learning experience.